Sussex Sharks begin their Royal London One-Day Cup campaign tomorrow (Thursday) as they travel to Lord’s to take on Middlesex (11am start). The group stages of the tournament begin tomorrow and the South Group opening matches see the Sharks travel to Middlesex before hosting Somerset on Sunday and Glamorgan next Tuesday at The 1st Central County Ground. They will play eight group matches, four at home and four away with the aim of qualifying for the quarter-finals, which take place in June, before the semi-finals and the prize all the counties will be aiming for, the final at Lord’s. Skipper Luke Wright was Sussex’s leading run-scorer in the 2016 tournament with 249 runs, whilst Chris Jordan (13) was the Sharks’ leading wicket-taker. Jordan, along with Tymal Mills, remains in IPL action currently but Sussex can include Ajmal Shahzad and David Wiese in the squad. The pair both missed last week’s Specsavers County Championship match with Nottinghamshire due to injury but are in line to return at Lord’s. Matt Machan (wrist), Ollie Robinson (shins) and Luke Wells (knee) all remain out through injury. 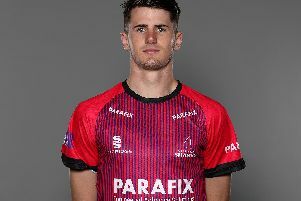 Young all-rounder Jonty Jenner is included in the squad and the 19 year-old from Jersey would make his List A debut for Sussex if selected.